Reeves and five codenfendants in U.S. v. Reeves were convicted following a nine day trial of federal drug charges including conspiracy to distribute more than five kilograms of cocaine, possession of more than 50 grams of crack cocaine, and possession of a firearm by a convicted felon. The indictment followed nearly one year of investigation by the Georgia Bureau of Investigation and the Drug Enforcement Agency into the drug activities of individuals involved in drug distribution in the area of Baldwin County, Georgia. 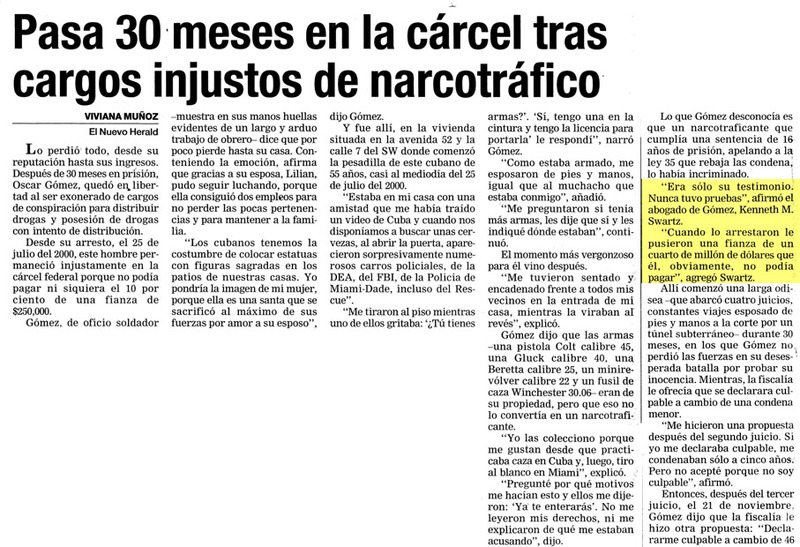 Agents used video surveillance and court ordered wiretaps to determine that numerous coconspirators were involved in large scale cocaine distribution network starting from a Mexican supplier of large quantities down to low level distributors of small quantities. Reeves challenged his conspiracy conviction arguing that the facts showed he and his coconspirators were not part of a single criminal agreement but rather he just bought and sold cocaine in the ordinary course of several discrete agreements. The court rejected his arguments finding that he regularly purchased from one coconspirator and repeatedly sold to the same street-level distributors was more than adequate evidence for the jury to find a single overarching conspiracy to possess with intent to distribute cocaine. Reeves’ codefendant wife argued the evidence was insufficient to convict her of the conspiracy particularly because there was no evidence she personally distributed drugs. The court of appeals disagreed on the basis of the tape recorded telephone conversations presented at trial showing her knowledge of the cocaine conspiracy. Those conversations showed that a reasonable jury could find that the wife knew there was cocaine hidden in the house, that she agree to dispose of it after coconspirator was arrested, and that she tried to conceal the conspiracy by falsely tell the police that her codefendant husband lived at another address. Another issue the wife raised was the admission of telephone recordings without proper authentication. The court of appeals found there was plenty of evidence establishing her voice on the recordings, including testifying on her own behalf in which she acknowledged speaking on the phone and identifying her own voice.